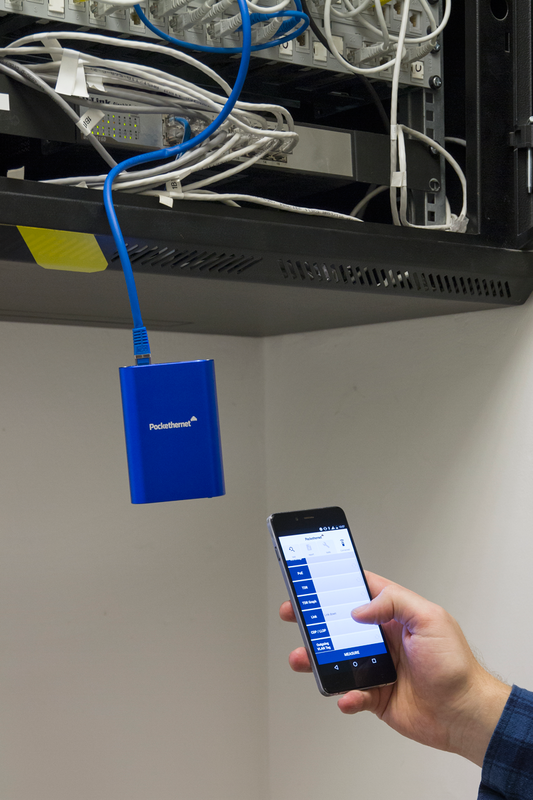 Pockethernet is a smartphone-enabled tester that provides you with a high-end feature set at an affordable price point. 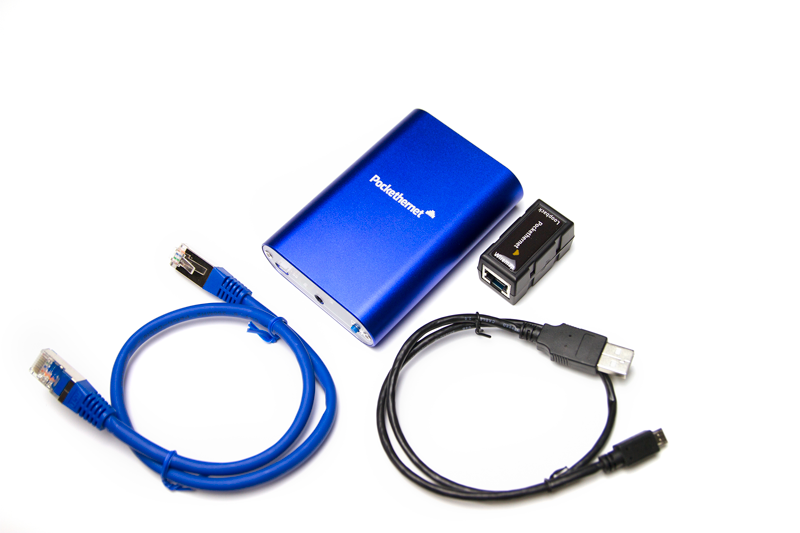 It gives you insights into all relevant data needed to troubleshoot and maintain Ethernet networks. Simply hook it up to any Ethernet cable, switch or patch panel and get a detailed reading within seconds. 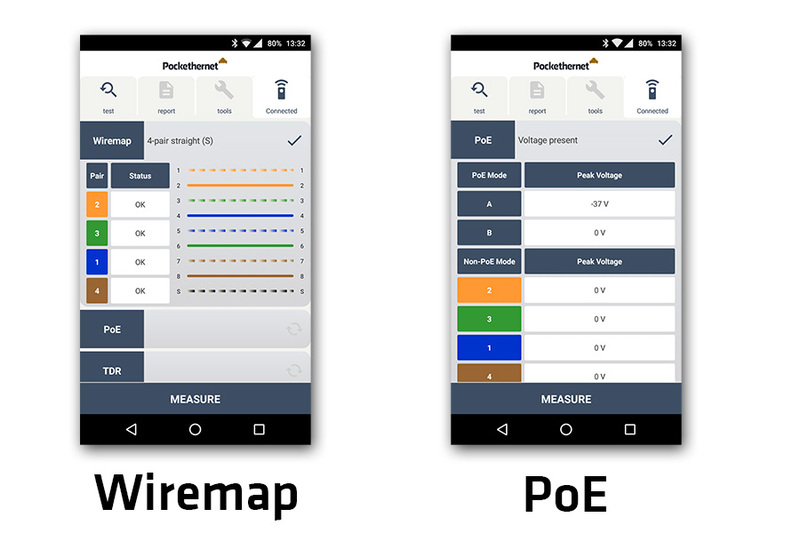 Pockethernet allows physical level tests like length measurement and failure detection with just one end of the cable connected. The availability of power over Ethernet or phone services can also be identified on the line. On the Ethernet level, the link speed and quality can be measured, while the built-in TCP/IP communication allows for network connection tests. Wiremap Check whether pins on RJ45 jacks have been crimped in the correct order. Pockethernet also tests the shield for continuity. 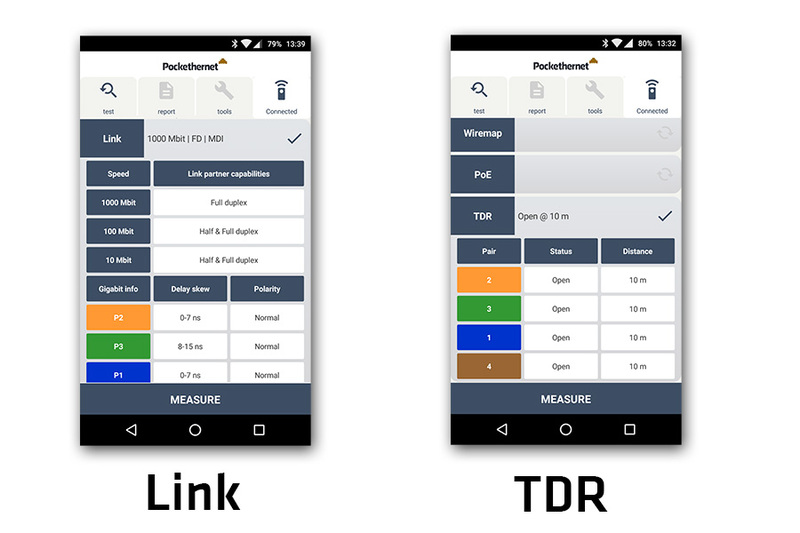 TDR Advanced cable testing with only one end connected to Pockethernet. Determine how long a cable is and if it contains any short circuits, split pairs or bad terminations. 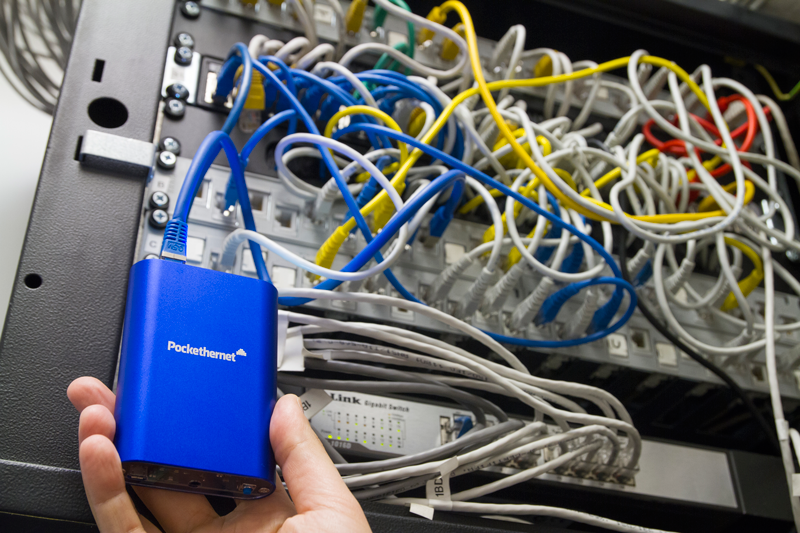 Pockethernet also detects if a cable is connected to a switched-off computer or switch. Graphical TDR Generate a graph of signal reflections throughout the entire cable length. You can view the length of connected cables and any imperfections they may have (such as extenders or patch panels). PoE supply detection Measure the presence and voltage of Power over Ethernet to ensure a sufficient power supply for your PoE devices. Voltage detection Find out if any pairs have a phone line or passive PoE connected to them. 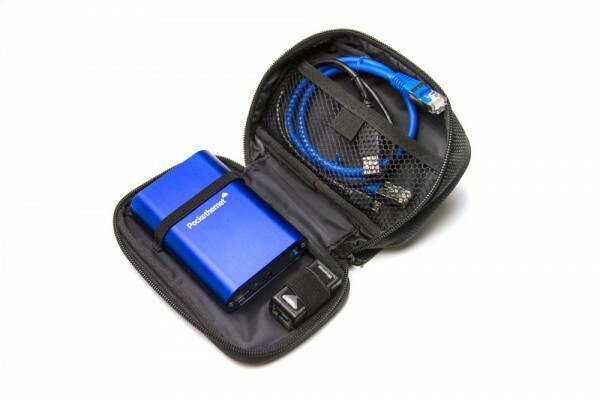 This allows you to detect services and to protect your network equipment. Cable toner Determine the location of cables in a wall and identify single cables in batches or at patch panels. You can set different tones and even control their volume to keep signals separate. Bit error rate test (10/100/1000) Real-world, cable-quality measurement at gigabit speeds. Measure packet length, payload and configure the number of test packets. Port blinker Let Pockethernet toggle the Link LED on switches and routers to easily find the cable you are looking for. Set the link speed to toggle a change of color for the port LED. Link speed and duplex identification (10/100/1000) Find out the Ethernet capabilities of that unused port you're wondering about and rule out duplex conflicts. Link establishment test (10/100/1000) Determine whether a link can be established at different speeds and make sure the wiring is up to date for gigabit. DHCP, DNS, Ping (10/100) Test the network connection to see if you are able to get an IP address on a port, and connect to internal servers or the Internet. 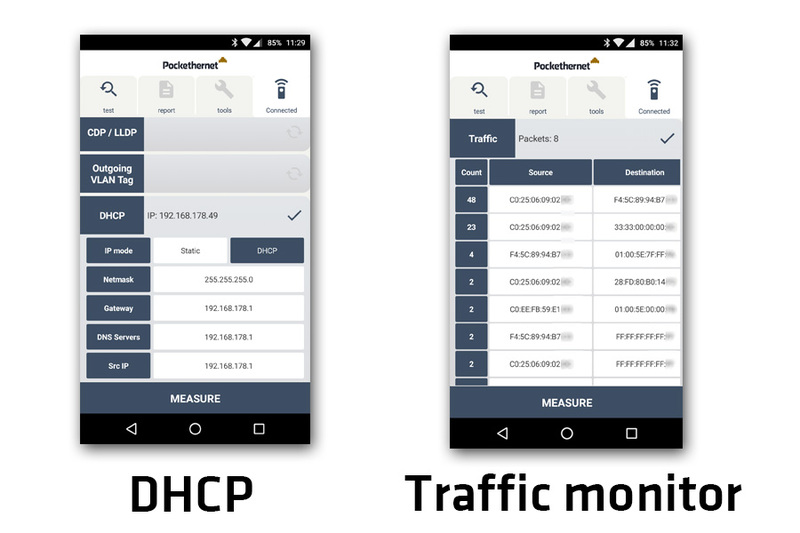 Traffic detection (10/100) View which other devices are reachable on a specific port, as well as the type and amount of traffic that is being directed there. Outgoing VLAN tag Set the VLAN tags, PCP and DEI for outgoing DNS, DHCP, HTTP and Ping requests. View tagged and untagged traffic with the traffic monitor. Network discovery (CDP, LLDP) View the content of CDP and LLDP messages to identify network ports more easily. If the switch port supports it, you can instantly view the connected chassis and port ID as well as the native VLAN. PDF report generation Keep a detailed, up-to-date database and log of your work just by noting locations and port IDs. Send report via email Email reports for your own records, or share them through a phone’s OS's native share menu with the press of a button. No more lost reports, tedious downloads from the device or manual editing. Android compatibility BLE compatible running with Android 4.3 or higher. In Canada, New Zealand and Switzerland customs duties, customs processing fees and local sales taxes may have to be paid upon receipt of the shipment. Please inform yourself about your local regulations. We ship orders Monday-Friday, excluding German holidays. Our shipping partner is UPS. 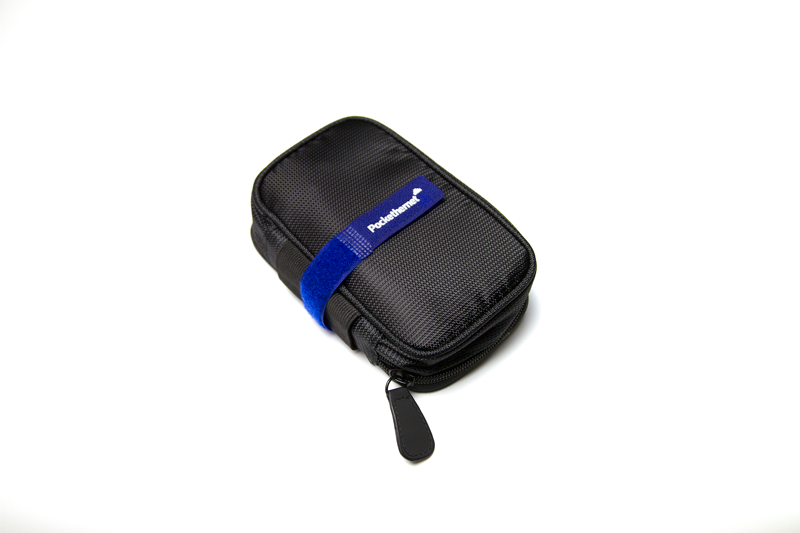 Orders placed before 12 Berlin time (GMT+1) usually ship the same day. Orders placed after that will go out the next business day. 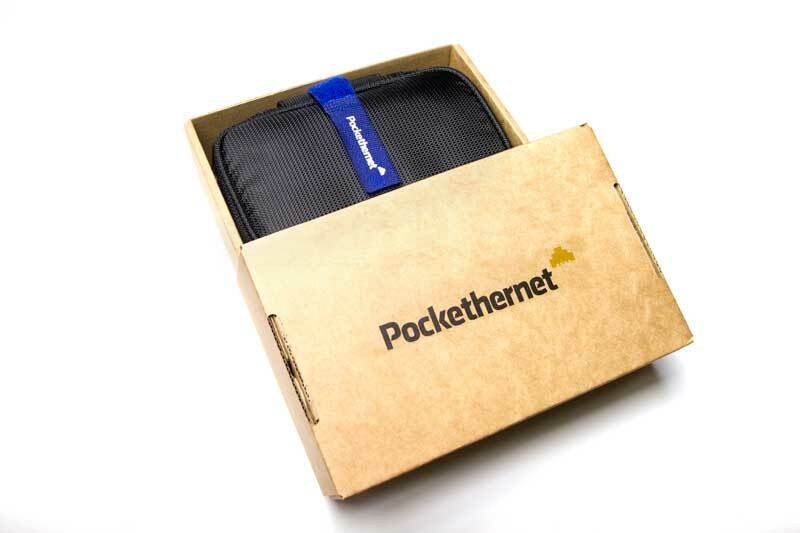 Subscribe to the Pockethernet newsletter to be informed first about updates, news and sales.